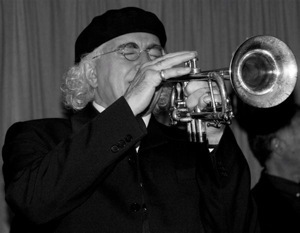 "One of the trailblazers of Melbourne's music scene for a long time has been (young trumpeter) John Montesante ... It is not just by virtue of his huge tone on the instrument and his easy improvisational skills that John has been so important to the scene, but also for his writing. For a long time his charts have been legendary for their demanding and thoughtful musical innovations. 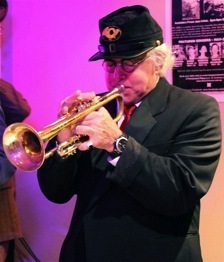 It is a test for any reading musician to keep up with some of John's work in this area...." Stan van Hooft - "Jazz Down Under"
Not only has John Montesante played trumpet and single-handedly provided gigs for hundreds of Musicians over a lifetime since this review appeared, he has also especially orchestrated, arranged or composed the 310 tunes performed by Grand WaZoo, since starting the band in 1981. 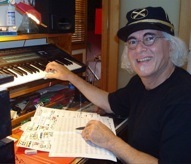 John's outstanding gifts as a widely respected Arranger-Composer has been a key factor in Grand WaZoo’s musical excellence and longevity. When he acted as Musical Director for Soul Legends Sam & Dave during their 1985 Australian Tour, they were so impressed by his arrangements of their tunes, that he was offered the opportunity to continue working with them internationally, but other commitments kept him in Australia at that time. 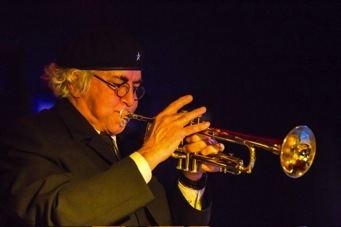 Australia's Ambassador of Soul Music with GRAND WAZOO, Montesante has retained his lifelong passion for JAZZ, and performs regularly with his Quintet (JMQ Jazz Ensemble) and less often with his Dectet as well. Music is Montesante’s life-blood, and when time allows, he is also vitally interested in American Civil War history, military history, cinema, his garden, renovations, and training to remain fit. John credits his late partner, Carol Anderson, (who died in 2005) as his greatest inspiration. 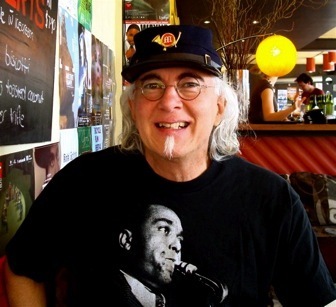 John Montesante continues to write, arrange, perform and provide gigs for his fellow musicians and public, as he has done continuously for 37 years; never seeking recognition for himself and always working for the ‘greater good’. He has sacrificed his own fee at times, to carry the band through tough phases, and remains a quiet, yet outstanding achiever — as one of Australia's finest Band Leaders.